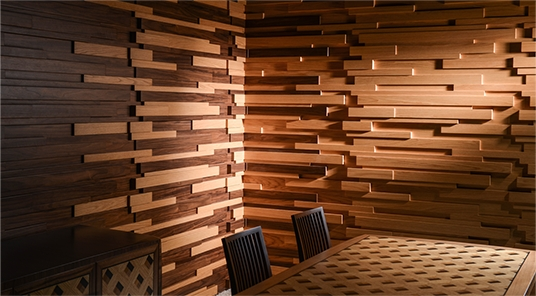 texture and depth to your interiors. 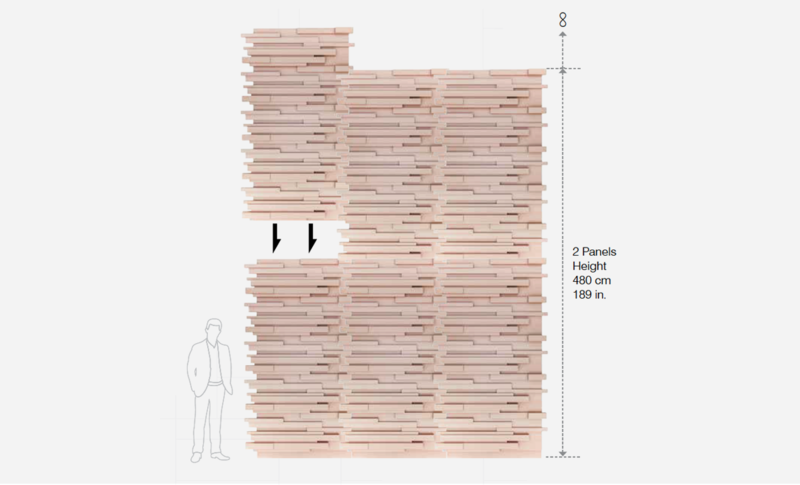 5 modules, each being 480 mm in height, add up to 2400 mm when assembled one on top of the other. 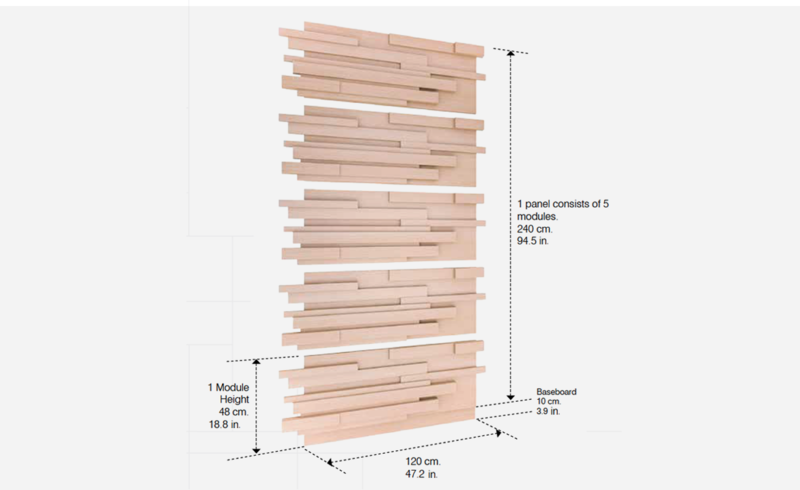 The total height is planned as 2500 mm together with the 100 mm baseboard. 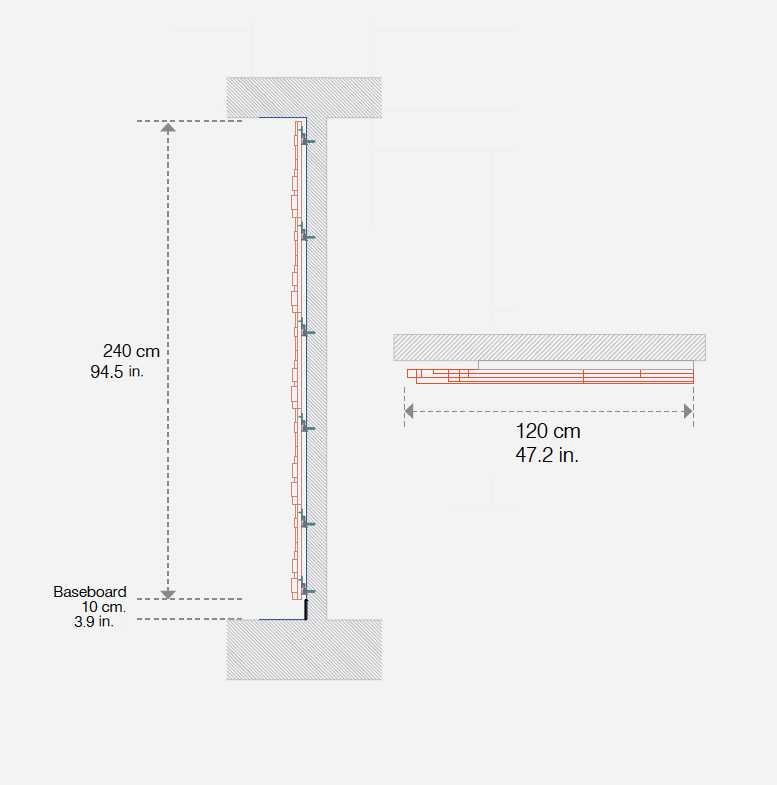 100 mm or 250 mm baseboards can be shortened if necessary and can be used on the top or bottom of the panels to complete the assembly on walls of different heights. 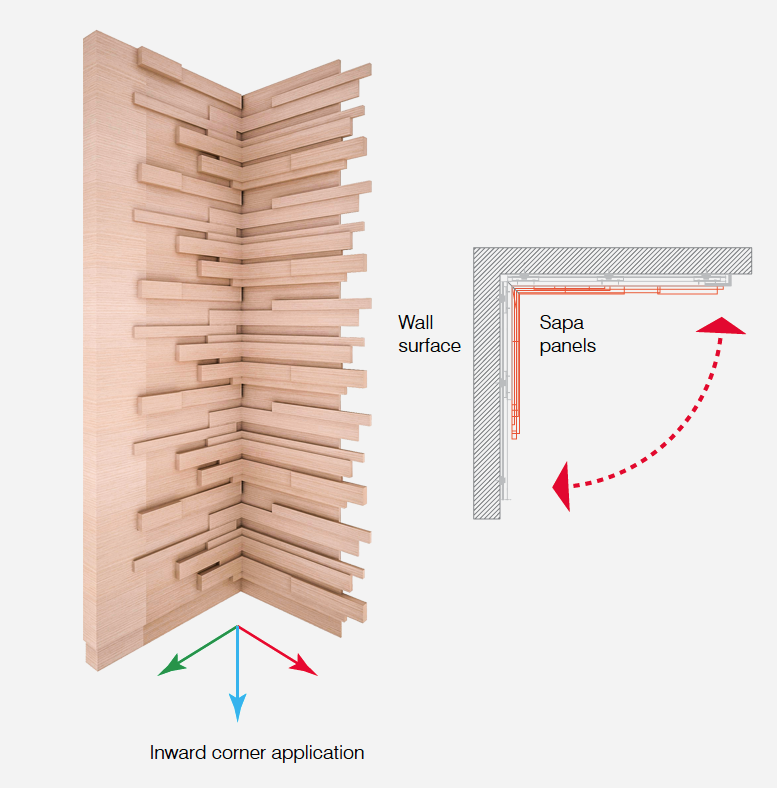 SAPA Module provides different absorption characteristics for its alternative types. 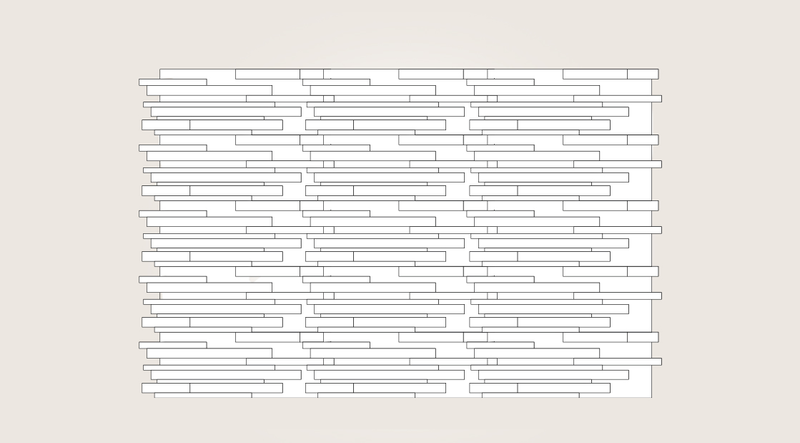 T2 can be used where high absorption is necessary on wall surfaces and to provide optimum reverberation desired for a room. 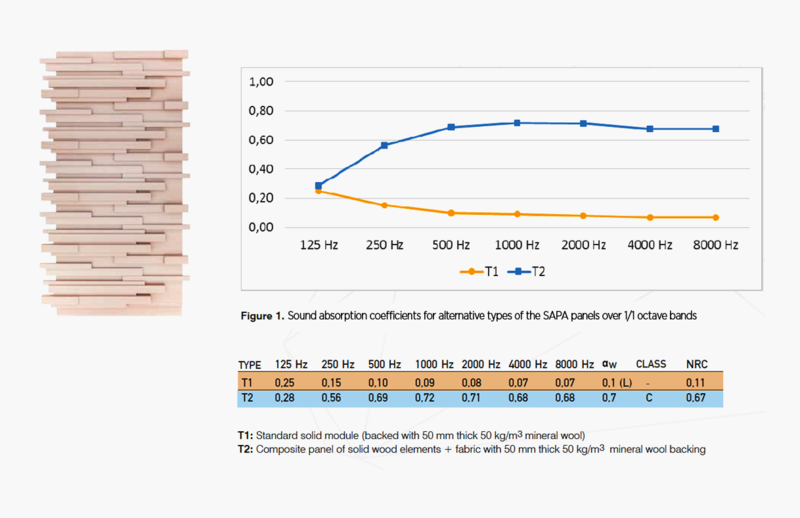 T1 and T2 can provide effective sound scattering for the range of frequencies from 315 Hz to 8000 Hz due to variations in both depth and length of each element. 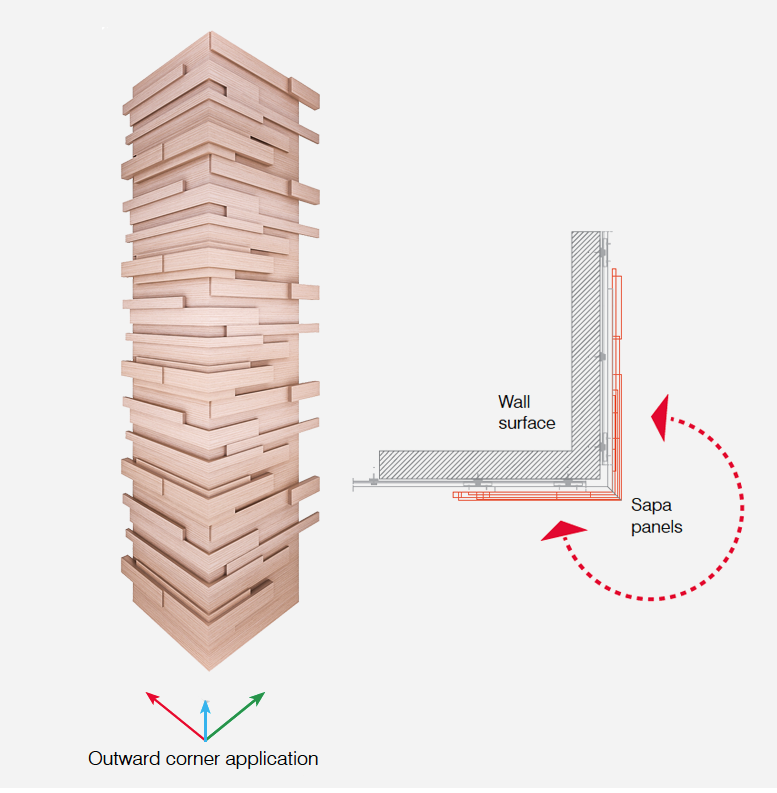 This will allow even distribution of sound within the room where they applied, and will prevent acoustical defects causing disturbance due to harsh sound reflections, acoustical glare, echo or flutter echo.